A food expert also a dietician so to say by name: John Tehinse is warning Nigerians against coking Moi-moi and other foods with Nylon because nylon is produced with dioxins and other toxic substance that causes cancer. The European Union funded an awareness campaign on food safety organized by the Food Safety Awareness Campaign Initiatives on Tuesday at Illorin which was absolutely where Mr. Tehinse gave the warning seriously. 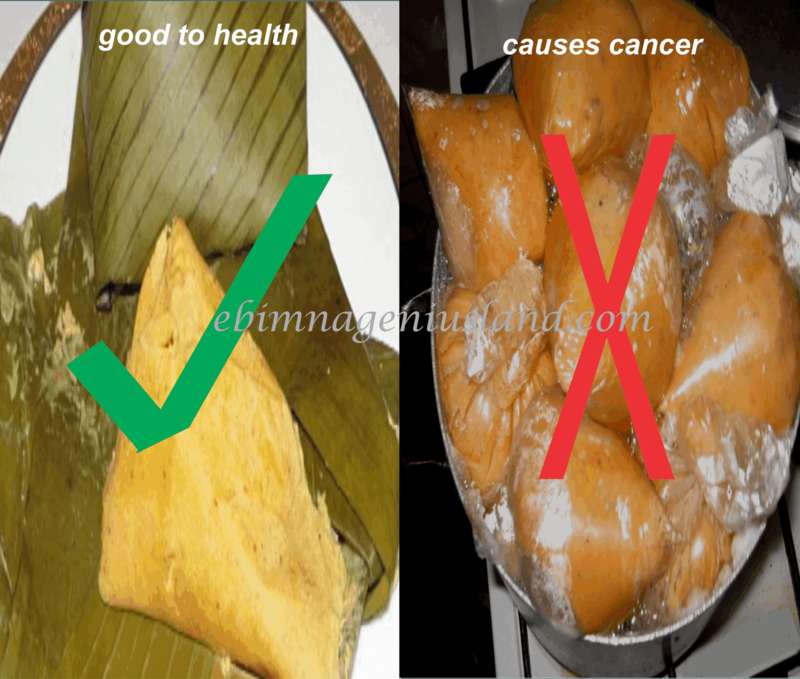 In his lecture topic titled: "Food Safety Control System in Nigeria," he said that cooking moi-moi has become a widespread and a general activity all over the country to the extent that the rate of cancer today is unmentionable in many hospitals today in Nigeria, both children and adult. And people are not aware of this danger in which some other people that prepare the food are not aware too, which as well put them in the danger of the sickness called cancer. Mr. Tehinse, "The food safety expert," said nylons or cellophane bags produced dioxins when they are heated, he adds: “they are a group of chemically-related compounds that are persistent environmental pollutants (POPs)’’. Furthermore, He also warned that dioxins are highly toxic which could cause reproductive and developmental problems, damage the immune system, interfere with hormones and also cause cancer to any part of a human's body. Now finally, He advised people to use the traditional leaves to cook the food whether moi-moi, or okpa, or any other food at all, because “Food business is not only to make money but a calling to protect public health and ensure what they offer to consumers is safe,” he said. FOr anyone reading this post share this post with our share button and save many lives as possible as you can, the person very close to might be the one you can save.